Proof of the worldwide prestige of Iberico ham among the ranks of the world's gourmets is the increasing number of museums of Iberico ham both in Spain and in other countries. The possibility of enjoying the best Iberian flavors in locales dedicated especially for this purpose is hard to refuse, so here's some important information! Museums of Iberico Ham? What For? Sometimes, it is suggested that the Spanish don't themselves properly appreciate their culture and cuisine. The fact that Iberico ham has global recognition and is highly in demand on the tables of countries all over the world doesn't by itself preserve the heritage and history of iberico ham. But with museums of Iberico ham springing up in country after country, it's easy to see that a consciousness of the importance of tis culinary treasure is pushing many to create restaurants and museums dedicated to Spanish ham, where you can taste the very highest quality ham on the market. In Madrid, there is already a large network of museums of Iberico ham, with five locations that are already part of Madrid's urban landscape. These are located in Gran Via, Alcala, Atocha, Marcelo Usera and Escoriaza, where you'll find a wide variety of Iberico products and cheeses served on boards and as snacks and where you can also enjoy some of the culinary specialities of Spanish cuisine. Barcelona has several branches of Henry Thomas, where you can find products from the world-famous supplier, but also a lot of information on Iberico ham and many other Iberico products. You'll find Jamón Jamón, El Rincón del Jamón and the 5 Jacks restaurant, which also has sites in Madrid, Seville and Lisbon. Another of the most recognizable museums of Iberico ham is in Aracena, in Huelva, which is an important center for the Iberico pig for Spain and the rest of the world. Here you can taste the best hams of the region, but there is also the opportunity to observe the processes that lie behind all those gourmet Iberico hams. There are guided visits to pastures, as well as to the facilities of some nearby producers. This comes highly recommended for those who want to deepen their knowledge of Iberico products. 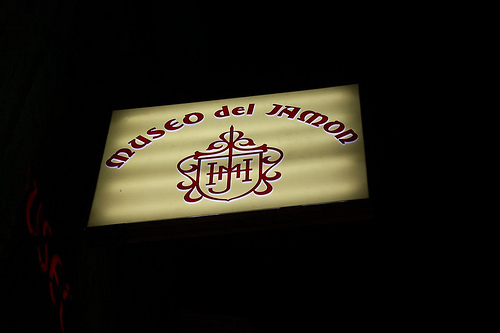 In other cities where Spanish cultural influences are strong, there are museums of Iberico ham. you'll find one in Mexico City, for instance, with a restaurant serving a wide range of Spanish cuisine including Tapas and Paella as well as Iberico products. 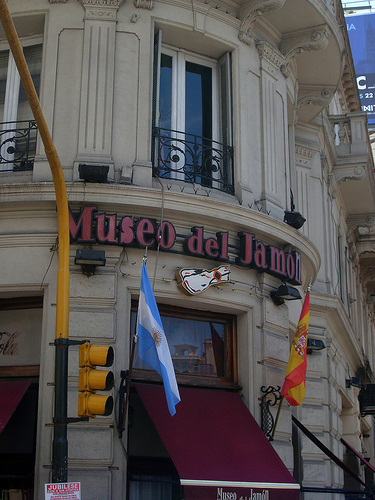 Finally, Buenos Aires is home to several museums of Iberico ham where Spanish ham cuisine of the highest level is promoted. Also located in the center of the city in Puerto madero is a store and museum where you'l find the highest-quality Iberico products on offer. Besides these ambassadors of Spanish cuisine, every day more Iberico hams are exported to countries around the world, which is only possible thanks to the ever-growing demand for high-quality Spanish Iberico cuisine.